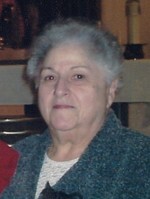 Roberto, Giovanna “Jennie” – Passed away peacefully at her home on Tuesday, January 29, 2019 at the age of 89 years. Predeceased by her parents Mary and Pasquale, brothers Nick and Jim (Angela) and sisters Frances Lauro (Frank), Catherine Infantino (Vince). Also predeceased by her nieces Kathy Tassinari (Emilio) and Peachy Brogan and nephew Joe Infantino. Dear sister in law of Betty Roberto. Dear aunt of MaryAnn Mete (Patrick), Verna Totten (Jim), Patrick Roberto (Marianne), Mary Lou Wilson, Richard Lauro and great aunt of many nieces and nephews. Jennie will be remembered for her love of cooking and baking and to watch everyone enjoy it. She was known for her kindness, generosity, her love of family and will be greatly missed and remembered. A private family service has taken place followed by Rite of Committal at Holy Cross Cemetery. As an expression of sympathy, donations to the Canadian Diabetes Association would be appreciated. Online condolences available at www.cudneyfuneralhome.com.